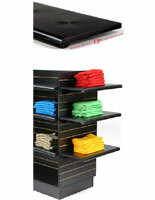 More Pocket Width Options Available! 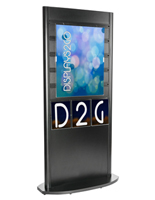 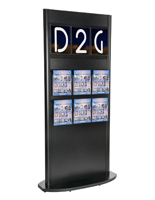 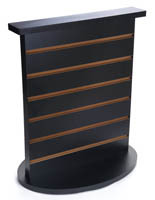 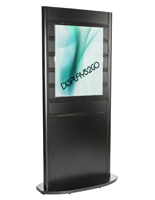 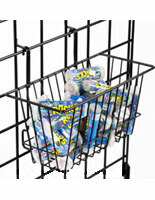 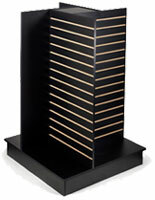 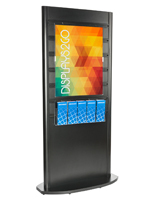 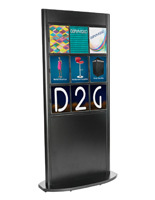 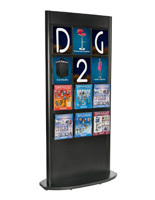 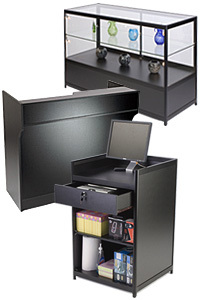 In the market for a truly versatile merchandising display system? 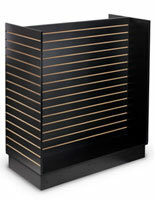 Retail slatwall fixtures are ubiquitous in today's interior store layouts. 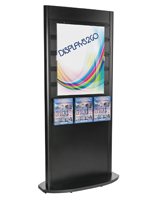 Thanks to their modular design and ease of use, these display tools are famous for holding a lot of products with the most efficiency. 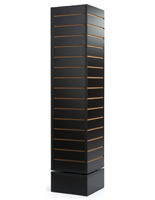 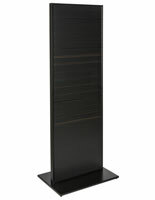 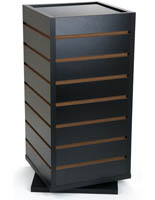 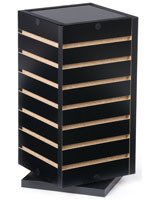 Our collection of black slatwall fixtures comes in wall mount and floor-standing models. 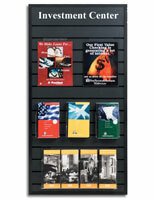 The wall displays are available in two sizes for smaller applications. 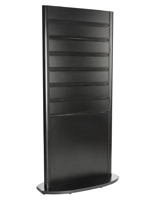 Unlike some store layouts that feature slat wall panels that stretch the entire length of the wall, these single panels are designed for spotlighting a small group of items. 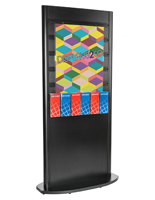 The edges are covered with black extruded aluminum framing for a more finished appearance, and they also offer a custom sign-vinyl header included in the price. 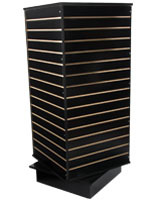 The floor stands come in the form of traditional gondolas and double-sided towers. 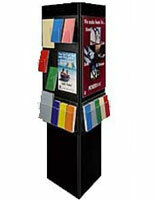 Some of these models are 4-sided to allow for maximizing merchandising. 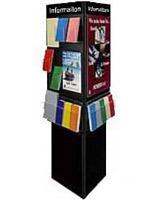 Rotating cubes are another customer favorite, put these to good use by offering small trinkets in souvenir and gift shops. 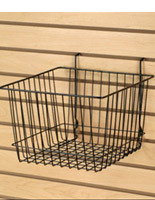 As with any professional slatwall fixture, the measured channels offer standard spacing for accepting a whole plethora of hanging accessories. 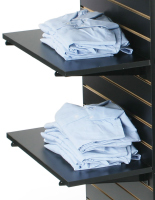 Choose from hooks, faceouts, and hangers in many lengths to accommodate garment racks and all the clothing accessories that go with them. 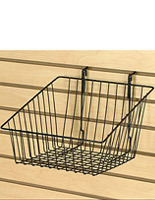 Shelf brackets allow for the display of shelving, along with many wire frame bins and baskets that hold bulk smalls of all kinds. 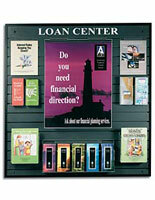 Yet another marketing application is to display posters and signage inside acrylic frames with special plastic hangers that fit into the slat wall channels. 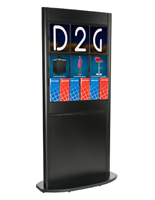 Combine signage with merchandise for a more complete and well-rounded display, designed for targeted marketing and better overall shopper experience. 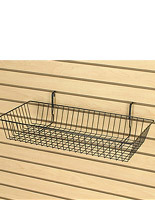 One of the best features of slatwall is it can be changed whenever necessary. 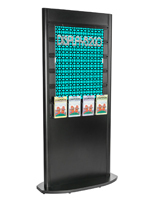 This chameleon-like ability is what makes these store fixtures very appealing for retailers who like to re-vamp their configurations with a refreshing change.